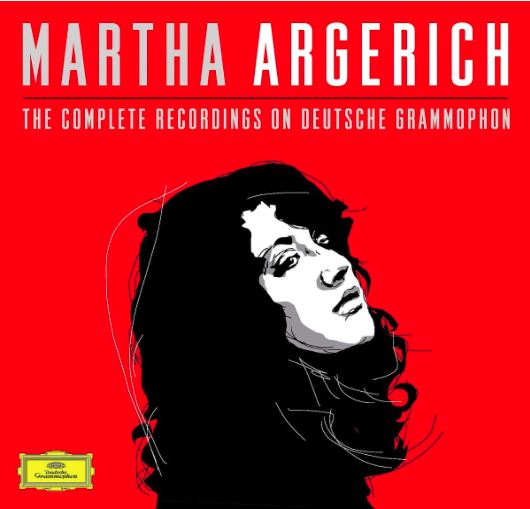 When Deutsche Grammophon released a box set of Martha Argerich’s complete recordings for their label in September 2015, I coveted it immediately, eventually succumbing to temptation and purchasing it for my CD library. This summer I made a project of slowly listening to all 48 CDs in order of release, savoring each recording and listening to many of them several times. OK, most of them. Just in case you’re not a classical pianist, or slept through the last fifty years, Martha Argerich is widely regarded as one of our greatest living pianists, and certainly as one of the most important classical artists of the post-WWII era. Which makes this stupendous collection – a wide-ranging survey of all of her recordings for Deutsche Grammophon and Philips spanning 55 years from 1959 to 2014 – perhaps the single greatest collection of recorded classical piano music in history. It’s astounding.